Writing Competition Showcase and What Now? What Now? With this quote in mind, young writers aged 11-18 submitted short plays inspired by the 50th anniversary of the first space walk and manned space flight. The winners of the First Break Writing Competition have the opportunity to see their pieces performed to a live theatre audience. As part of the showcase two former members of Oldham Theatre Workshop and recent drama school graduates, Kassie Jay Bowers and Jessica Person, will perform a devised piece. What Now? What Now? is about the lives of two young women who find there is no yellow brick road to follow and have no anchor to keep them grounded … so what now? 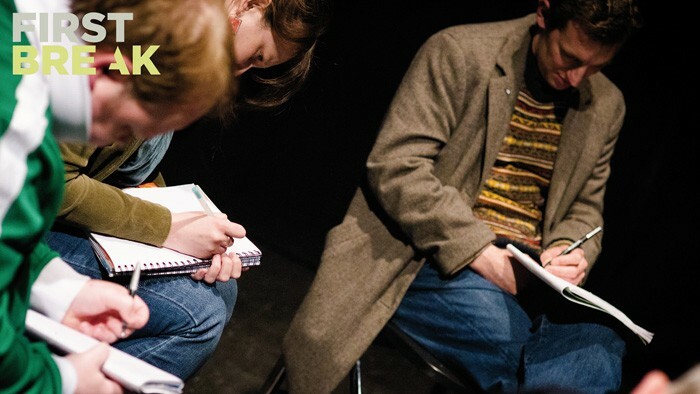 This event is part of Oldham Coliseum Theatre's annual First Break Festival, showcasing the best in new writing and emerging talent. Free. Ring our box office on 0161 624 2829 to confirm your attendance.